EXTRAS: NEW Carpet*2 Hot Water Heaters*Water Softener*Humidifier*Wet bar w/wine glass rack & full size Fridge*Covered patio*Xeroscaped w/turf*NEW Fence*Over-sized, finished & insulated Garage*Surround Sound equipment*Large storage room*Theater System*Radon SystemElegant Custom Home! 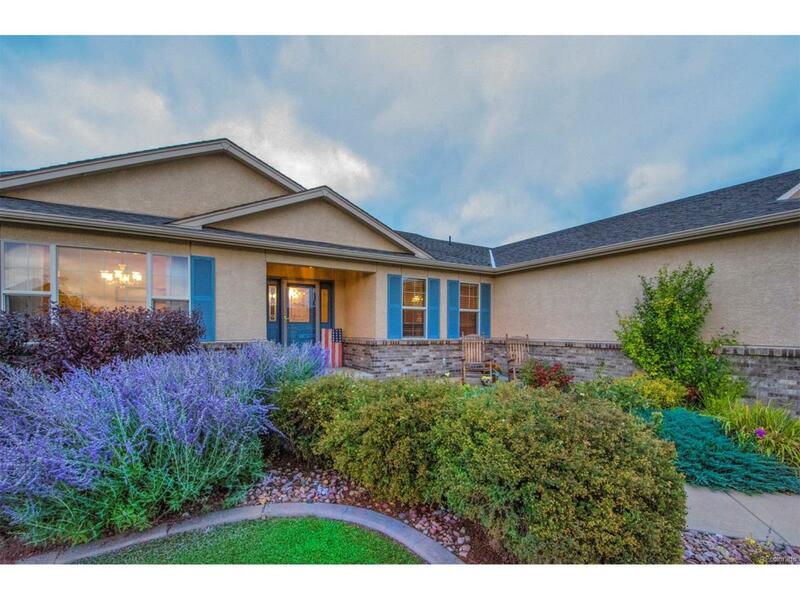 This beautiful Stucco Home sits on just under .5 acres with gorgeous Pikes Peak Views! Enjoy walking up to your beautifully landscaped yard and knowing you never have to cut, fertilize or aerate your grass. The high quality turf is in the front and the back yard. This open floor plan is great for entertaining or family gatherings. Your Handsome Formal dinning room is great for large dinner parties and just separate enough to enjoy your traditional desires. Flooded with lots of natural sunlight! Your Cozy Master Retreat sits of the North Wing offers a beautiful 5 piece Master Bath and walk in closet. Your Kitchen features gas and plenty of storage and counter space for preparing gourmet meals.